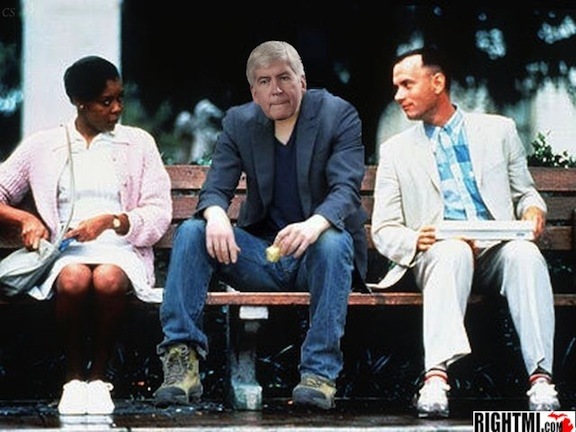 Just happened across an amusing yet insightful Skubick piece where after wading through canned Snyder vague response answers, it appears that our enlightened governor is having a sad moment over those with opinions in the blogosphere. To be sure the governor did not raise this issue, but he was not bashful about wading into the debate regarding what appears on the blogs that dot the political landscape on the Internet. He reads some of them and he is concerned. Well golly gee willikers, effeminate King Richard. Does it make one wonder that every time Snyder dreams up another way to grow government or, blow through yet another $1.9 BILLION on things unrelated to the original purpose of roads, why there may be a lack of civility? Seriously, how endearing is it for anyone to have a Republican in the governor’s office, who when he does not receive his way when in conflict to Party platform, his chosen course of action is to stomp his feet like a spoiled brat child who has never been taught the word ‘no’ in his life? Respect that? Nope, not me. Respect is earned, and not doled out just because one has ability of processing air. In other news for MI-GOP chair… Sen. Colbeck has chosen to breathe new life into the Rodney Dangerfield joke. Yessirree. Congratulations, Pat, I was wrong about the soap as you’ve now removed any respect I once had for you. Oh! And, Hezbo Paul is contemplating a run, too. Swell. Just, swell. My governor (and every single legislator both during and afterwards) were not concerned one bit with respect, civility or 'being mean to one another' when their constituents (in full view) lay buried underneath a tent with knives slashing above their heads (minutes after disregarding "There Will Be Blood")...not to mention their being assaulted by thugs while (legally) attempting to hold ground on the Capital steps within spitting distance of every single one of them AND those sworn to protect. Quite the contrary...when union activists (years earlier) assaulted our Capital and acted exactly as he described?...those sworn to serve (city police this time) were 'called off' ...leaving the MSP to deal with "meanies" seeking to overthrow the legislative process/overwhelm our governmental structure. Gosh am I ever glad that our governor recognizes 'civility'....when it matters most.